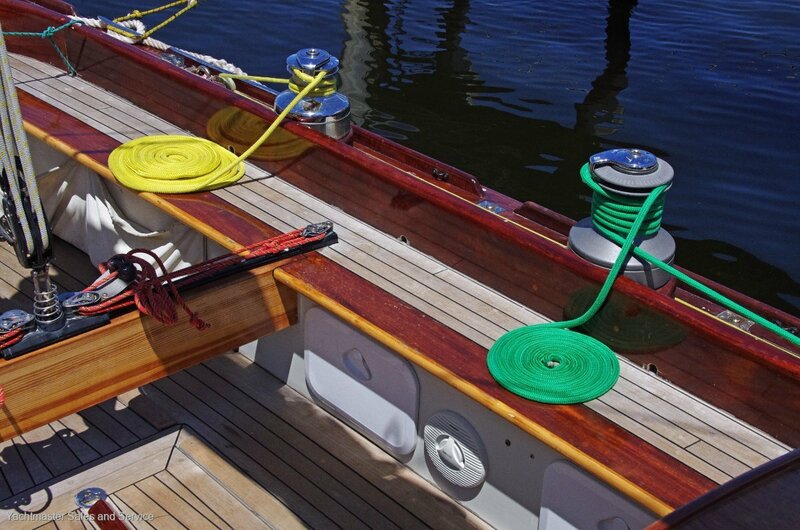 Meticulously restored to her original glory Eun Na Mara is an eye catcher wherever she sails. The cleverly blended addition of a modern racing rig and associated sails and equipment make her easy to sail with just a small crew of virtually any age group. 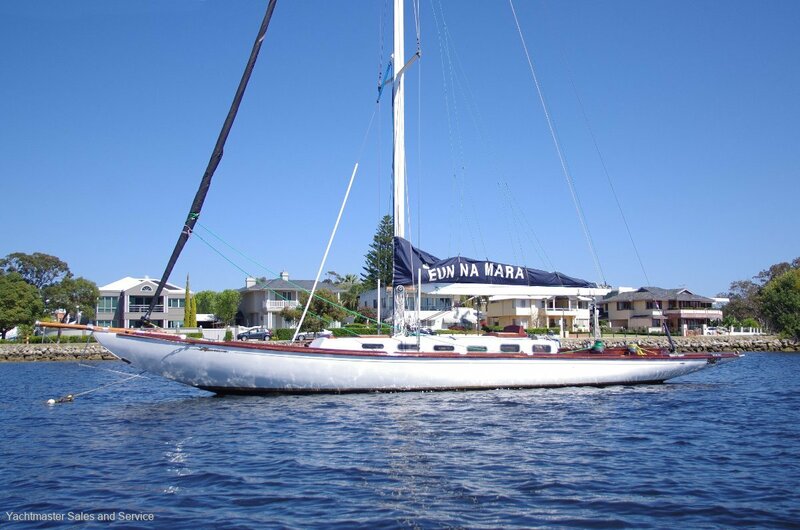 Built at Berries Bay in Sydney and raced from the Royal Sydney Yacht Sqadron in Kirribilli as AWANUI. She then moved to Royal Prince Alfred Yacht Club on Pittwater and changed her name to CULLWULLA.. It was on her move to Royal Brighton on Port Phillip Bay that she changed her name to Eun Na Mara. Eun Na Mara upset the Australian sailing fraternity by winning the IRC Hamilton Island Race week in 2011, not a bad effort for a girl of a 104 years of age. She had previously won the famous Sayoonara Cup. In her early life so was well used to the accolades of success. An immpressive oil painting of her hangs over the fireplace in pride of place in the members bar at the Royal Prince Alfred Yacht Club. A highly prestigious and classy addition to any fine yacht club in Australia or the world. 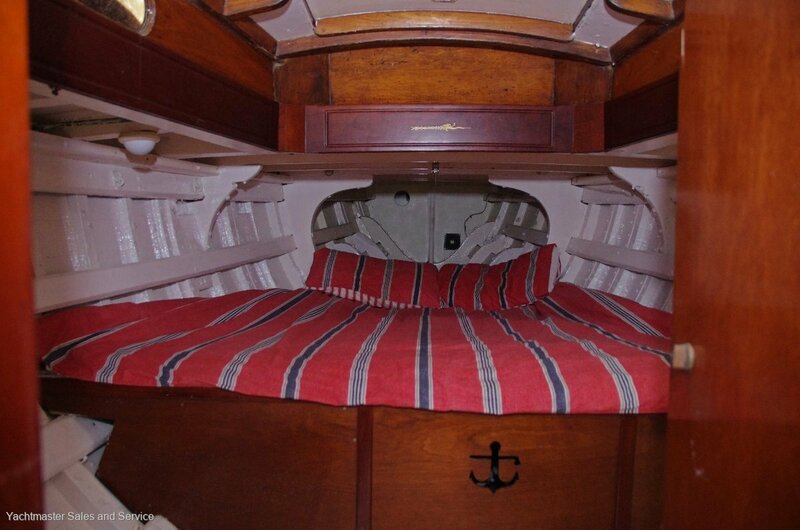 A pleasure to own and sail for the current owners. They now seek a new owner or would also consider being a part of a syndicate of three. Stainless steel sink with pressure water. 2 x 3 stage battery chargers. House batteries. Fan in forward cabin. Navigation and cabin lights. VHF radio. 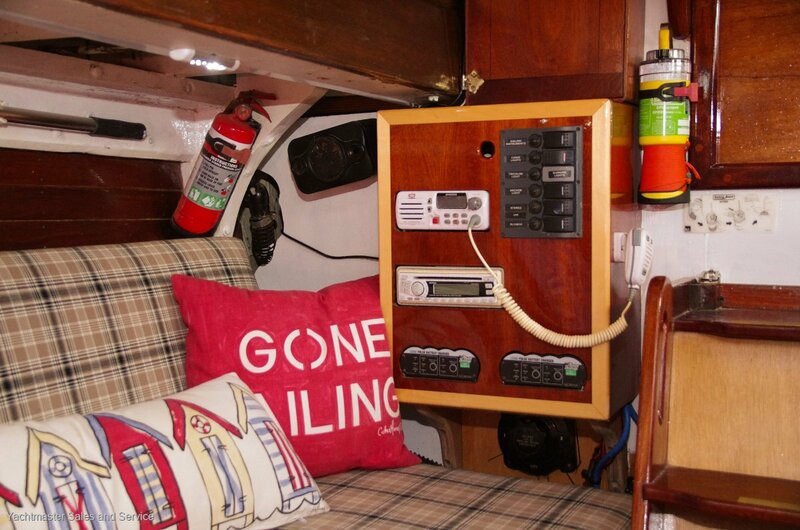 Raymarine wind and water speed. Raymarine depth sounder and digital compass. Mast head sloop with twin in line spreaders.